Business intelligence is one of those phrases that everyone agrees is something all organizations, regardless of their size, should be doing. After all, no organization would admit to doing business stupidity. Nor, I presume, would any vendor admit to selling it. But not everyone seems to agree on what the phrase means. Personally, I have always defined business intelligence as the data analytics performed in support of making informed business decisions (i.e., for me, business intelligence = decision support). Oftentimes, this analytics is performed on data integrated, cleansed, and consolidated into a repository (e.g., a data warehouse). Other times, it’s performed on a single data set (e.g., a customer information file). Either way, business decision makers interact with the analytical results via static reports, data visualizations, dynamic dashboards, and ad hoc querying and reporting tools. But robust business intelligence and analytics solutions used to be perceived as something only implemented by big businesses, as evinced in the big price tags usually associated with them. However, free and open source software, cloud computing, mobile, social, and a variety of as-a-service technologies drove the consumerization of IT, driving down the costs of solutions, enabling small and midsize businesses to afford them. Additionally, the open data movement lead to a wealth of free public data sets that can be incorporated into business intelligence and analytics solutions (examples can be found at kdnuggets.com/datasets). 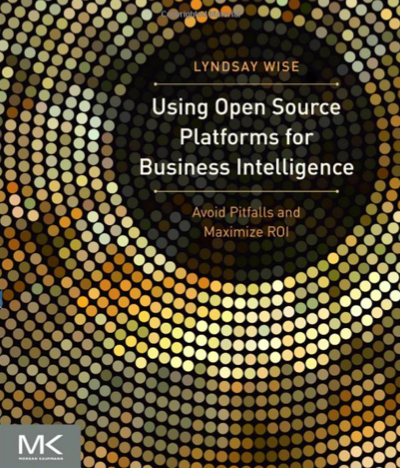 Lyndsay Wise, author of the insightful book Using Open Source Platforms for Business Intelligence (to listen to a podcast about the book, click here: OSBI on OCDQ Radio), recently blogged about business intelligence for small and midsize businesses. During this episode, I discuss open source business intelligence (OSBI) with Lyndsay Wise, author of the insightful new book Using Open Source Platforms for Business Intelligence: Avoid Pitfalls and Maximize ROI. Lyndsay Wise is the President and Founder of WiseAnalytics, an independent analyst firm and consultancy specializing in business intelligence for small and mid-sized organizations. For more than ten years, Lyndsay Wise has assisted clients in business systems analysis, software selection, and implementation of enterprise applications. Lyndsay Wise conducts regular research studies, consults, writes articles, and speaks about how to implement a successful business intelligence approach and improving the value of business intelligence within organizations. Lyndsay Wise wants to give one OCDQ Radio listener a free copy of Using Open Source Platforms for Business Intelligence. (1) Book Contest Question — Name one of the considerations for evaluating whether OSBI is the right choice for your organization that Lyndsay Wise discussed during this OCDQ Radio episode. (2) Book Contest Deadline — By or before January 31, 2013, Email Jim Harris with your answer to the book contest question. (3) Book Contest Winner — In February 2013, one winner will be randomly selected from the emails containing the answer to the contest question, and Lyndsay Wise will email the winner requesting a postal address for sending a free copy of the book. Do Self-Service and Open Source Co-Exist? 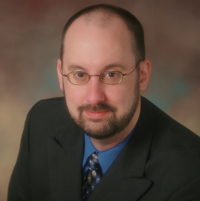 Data Driven — Guest Tom Redman (aka the “Data Doc”) discusses concepts from one of my favorite data quality books, which is his most recent book Data Driven: Profiting from Your Most Important Business Asset. The Data Governance Imperative — Guest Steve Sarsfield discusses his book The Data Governance Imperative, exploring the business value of data quality, the characteristics of a data champion, and creating effective data quality scorecards. Master Data Management in Practice — Guests Dalton Cervo and Mark Allen discuss their book MDM in Practice, demystifying the theories surrounding MDM, and recommending how to properly prepare for a new MDM program. Good-Enough Data for Fast-Enough Decisions — Guest Julie Hunt discusses the intersection of data quality and business intelligence, especially good-enough data for fast-enough decisions, a necessity in the constantly changing business world.